Call us now on 07802 463 032 or 0113 260 3416 or fill in our contact form to make an enquiry. At I.C. 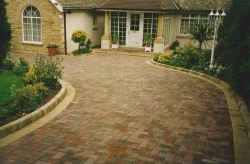 Ross, we have been providing block paving, fencing and other property exterior features for over 30 years. 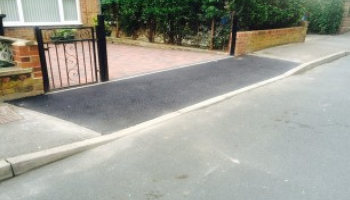 Whether your current driveway is uneven, bumpy or has high kerbstones that could damage your suspension, our dropped kerb installation in Leeds is always available. If you would like block paving in Leeds or want more information of the selection of services we have available, contact I.C. Ross. I.C. Ross offer a range of high quality services in Leeds and with a team of qualified and trusted tradesmen, you can depend on us for the highest standard of service. We can transform your property with paving, fencing, driveways and patios. 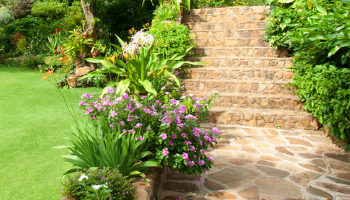 You should always strive to have a dream garden that makes your neighbours envious. With our stunning block paving, you can create bold designs using contemporary sandstone, natural granite and limestone. With a range of designs, this allows you to create the perfect space and style in your garden. Along with our block paving in Leeds, we also offer strong fencing, again with several different designs available. We can always discuss your requirements and the measurements of fencing, as well as the benefits of wooden fencing and the eco range we have available. This offers several different finishes for every individual. At I.C. 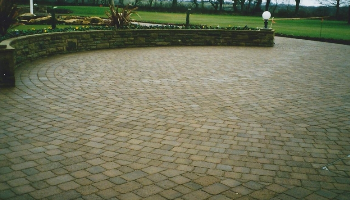 Ross, we have been providing block paving, fencing and other property exterior features for over 30 years. With fantastic industry knowledge and being apprentice trained by Leeds City Council, we also carry full public liability insurance and have been a registered waste carrier for over 14 years. We lay paving and kerbs ourselves, ensuring you are guaranteed of a professional job regardless of how much work is required. We are also approved by Leeds Highways Department to carry out construction of vehicular crossings, allowing you to depend on us for all services in Leeds. If you would like block paving in Leeds or want more information of the selection of services we have available, contact I.C. Ross. 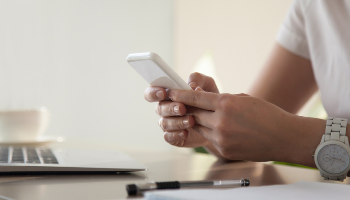 You will receive a fast response from our team as we organise a suitable time to begin any projects. Call us now on 07802 463 032 or 0113 260 3416 or fill in our contact form to make an enquiry.